If you’re looking for an interesting set of living room furniture to break up the monotony, the Quartz range might be just what you’re looking for. With white matt lacquer with subtle grooves on the front and wenge elements, all pieces in the Quartz range show off a level of elegance that sets it apart from other similar sets. 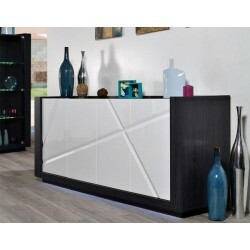 With a selection of white lacquer sideboards that even have Led lights for a modern minimalistic decorative touch, TV units that will provide you with some additional storage in your living room, luxury dining chairs, coffee tables and last but not least an extendable table with a unique design which will give you the chance to accommodate a dinner party in your house. This range offers a comprehensive collection of living room furniture bound to satisfy even the most stylish of customers. 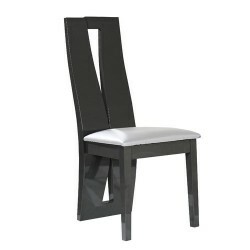 A modern high gloss chair made of eco-leather , a beautiful design,which provides exceptional comfort. Practical, modern coffee table with dark wenge body and white matt lacquer finish top that will fit into any modern lounge. £ 809.00 £ 849.00 vat incl. 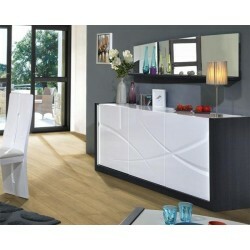 As for all of our furniture set, at Quartz range as well, we included all the essential furniture for your living room! For all of our coffee fans or even for those who would like to have a coffee table to put their book on, we designed a practical yet modern table! 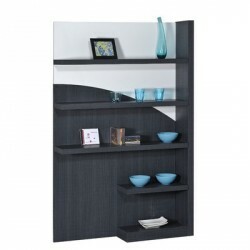 Made of the best quality MDF with dark wenge body and white matt tip finish! This eye-catching furniture will fit every living! If you are looking for practical sideboards, with or without wide surfaces you can find exactly what you need in this range! In addition, as we craft them with dark wood for a more elegant element and with matt lacquer finishes the result will be outstanding. 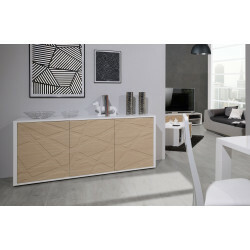 Due to their materials and design, these sideboards will not only catch all of your guest glances but also they will be a long-lasting investment! Quartz range is a luxurious looking set! Having said that, we could not skip including an extendable dining table both of your private dining times but also for your fancy gatherings with your friends. Due to its functionality, everyone can fit! 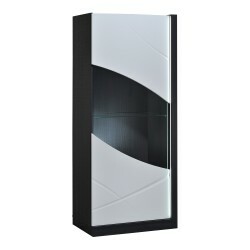 In addition, we guarantee you that the combination of dark wood with white matt finish will draw all of the attention. At the same time, at Sena Home Furniture, as we want an aesthetically pleasing interior result we care about the style consistency of each of your room, so, we designed and manufactured luxurious chairs that will perfectly fit with your table! Take a look! At Sena Home Furniture, we firmly believe that the TV stand is the most enjoyable furniture in your house. Not only you can place your TV on it but also you can use its store for all of your gaming or home-cinema equipment! 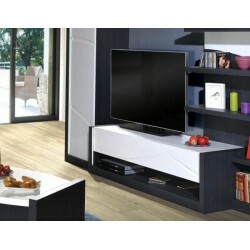 Our entertainment unit comes with a lot of storing space and can easily support a large television.